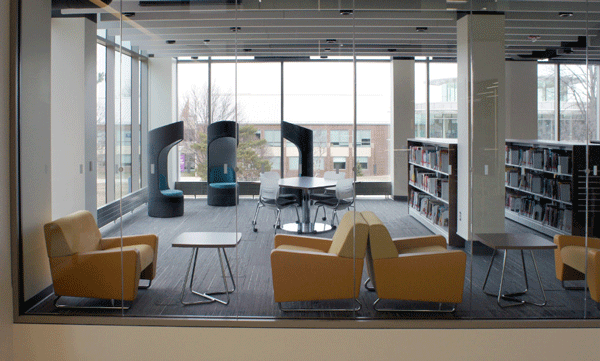 KI Case Study: Newly Renovated Library Fosters Active Learning for Students and Staff — Corbett Inc. 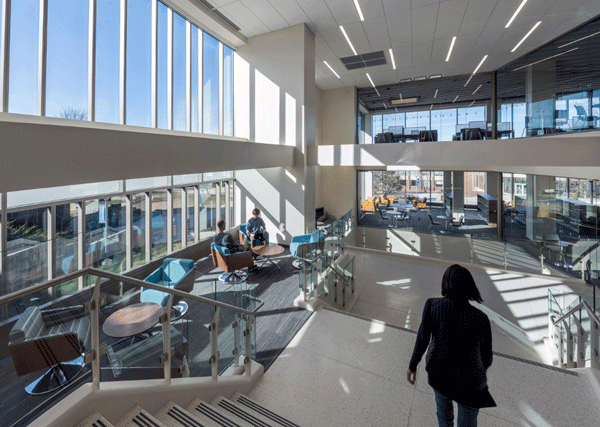 The renovation of Harper College Library marks an inevitable paradigm shift, transforming a traditional library space into a modern learning hub. The design centered around the idea of a third place for students, a neutral ground where collaboration and relaxation are key. Opening the building to allow for daylight, encouraging collaboration and offering a wide range of spaces for multiple uses were all required to support the needs of students and staff as well as the long-standing vision of the library. The whole renovation aligns with Harper Library’s vision statement to foster knowledge and promote active learning and critical thinking. Feedback has been overwhelmingly positive. Students visit this accessible and comfortable place away from home to collaborate and study, while teachers enjoy a supportive atmosphere for casual instruction and mentoring. This has been an excerpt from KI Furniture’s official case study. For the entire case study document, more photos, and additional information, click below to contact us today!